The Church of the Holy Sepulchre, also called the Church of the Resurrection by Eastern Christians, is a church within the walled Old City of Jerusalem. It is a few steps away from the Muristan. 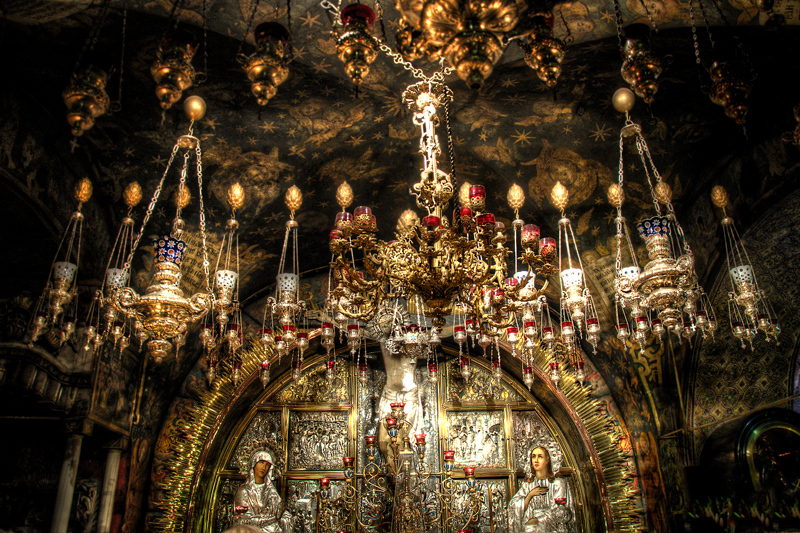 The site is venerated as Golgotha (the Hill of Calvary), where Jesus was crucified, and is said also to contain the place where Jesus was buried (the sepulchre). The church has been an important Christian pilgrimage destination since at least the 4th century, as the purported site of the resurrection of Jesus. Today it also serves as the headquarters of the Greek Orthodox Patriarch of Jerusalem, while control of the building is shared between several Christian churches and secular entities in complicated arrangements essentially unchanged for centuries. Today, the church is home to Eastern Orthodoxy, Oriental Orthodoxyand Roman Catholicism. Anglican and Protestant Christians have no permanent presence in the church.